The water levels on the southern marshes at Tophill Low NR, East Yorkshire recede annually in eager anticipation of returning waders. 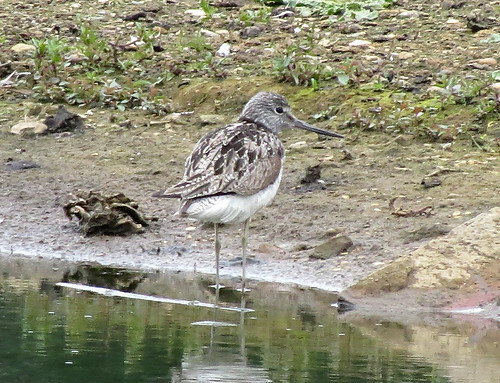 The opening two weeks of July saw a diverse selection, including this Greenshank Tringa nebularia on July 9th. 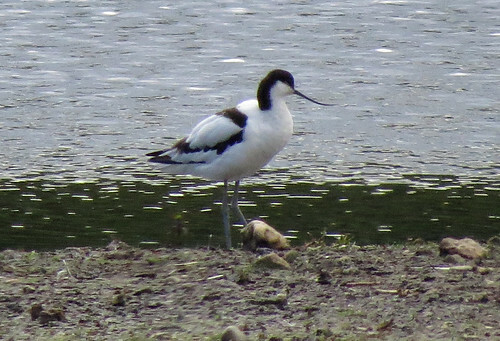 An Avocet Recurvirosta avosetta was present on the 8th and the steady run of Black-tailed Godwit Limosa limosa continued – the one below photographed on the 5th. Unlike years past, Green Sandpiper Tringa ochropus are now seen in fewer number, but odd birds still drop in, while Common Sandpiper Actitis hypoleucos appeared on the reservoir walls on several occasions for brief stopovers. 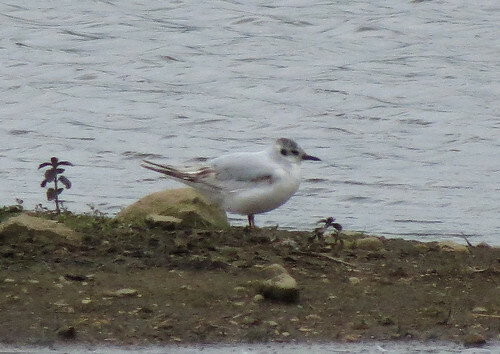 The opening days of the month saw a minimum of four different Little Gull Hydrocoloeus minutus recorded, including this 1st summer bird on the 8th, while a Spotted Flycatcher Muscicapa striata was present on the 12th with presumably the same bird seen subsequently by others. 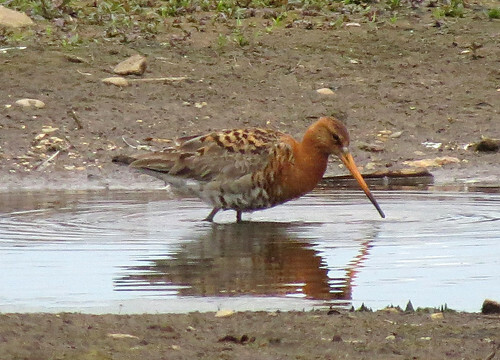 For the latest roundup of bird news from the reserve, check out the Tophill Low blog here. 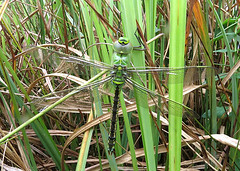 The first free-flying adult Southern Hawker Aeshna cyanea of the season were noted away from water on July 3rd. 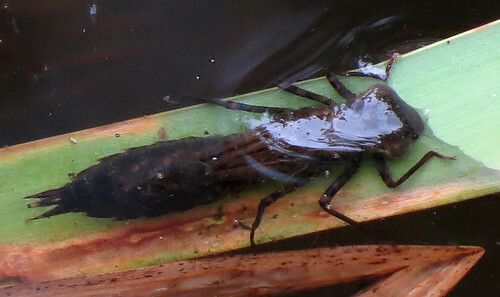 Numbers seemed low early in the month, but inspection of a favoured breeding site revealed the reason with numerous larvae on the surface waiting to emerge. 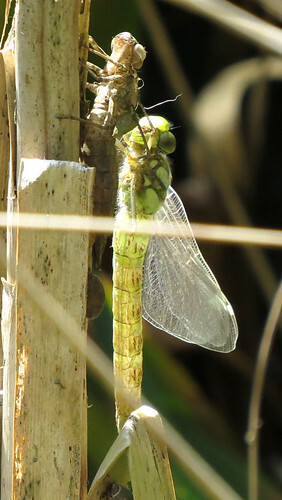 The following days revealed a plentiful supply of Southern Hawker emerging including individuals which had freshly left the water and emerged to others waiting to take their maiden flight. 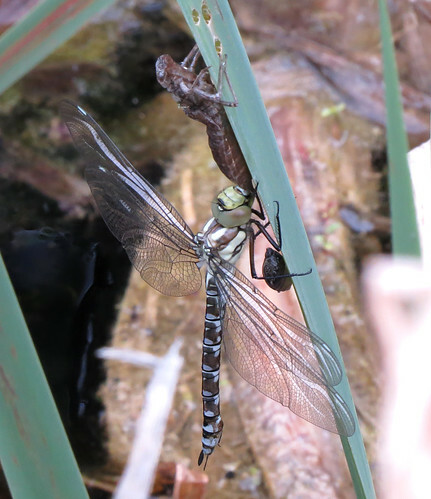 The warmer weather also ensured small numbers of Black-tailed Skimmer Orthetrum cancellatum were at water, while small numbers of both Common Darter Sympetrum striolatum and Ruddy Darter S. sanguineum could be found in the grasses across the site. 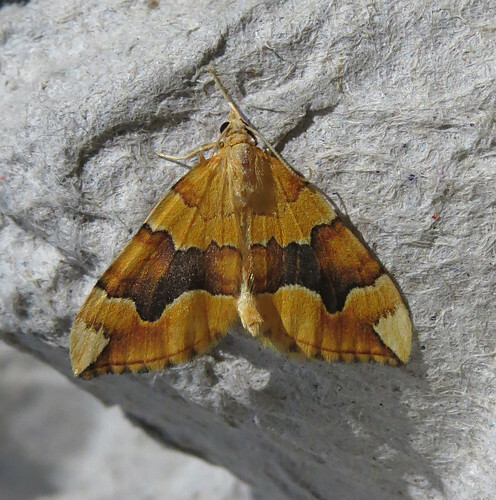 July is traditionally the busiest time for moth recording in the year, and the period between the 1st-16th lived up to expectations with 90-117 species recorded almost daily. 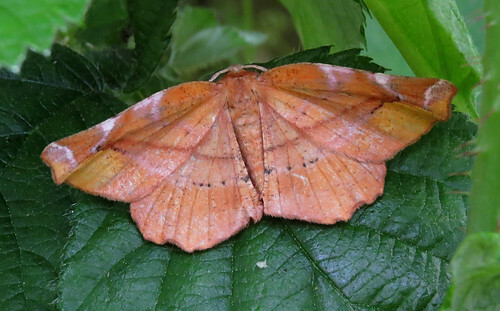 Barred Straw Gandaritis pyraliata, alongside the stunning Elephant Hawk-moth Deilephila elpenor and Buff Arches Habrosyne pyritoides – the latter two photos courtesy of Tony Mclean – are traditional July fixtures in the traps. 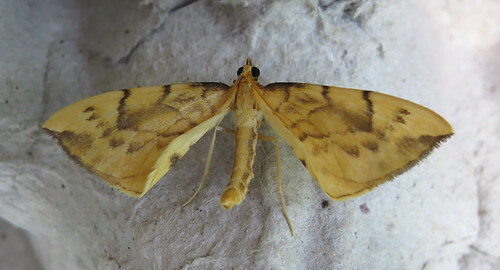 Barred Yellow Cidaria fulvata also fits into the category of ‘traditional July fixture’ with 23 documented individuals to the end of 2015, having been recorded nearly annually since 2000. 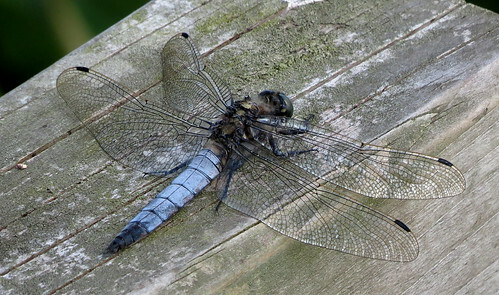 The period July 3rd-8th was perhaps the best year ever for this species with 10 individuals over the period captured across the site. 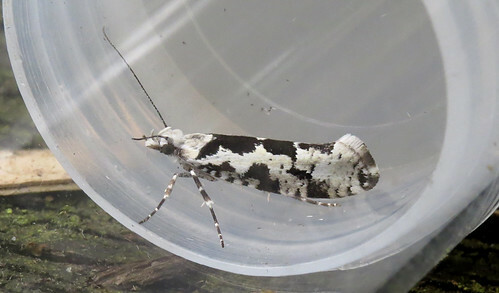 Blackneck Lygephila pastinum is a species that is targeted in early July and once again this summer decent totals have been attracted to light, including 27 on the 6th and 21 on the 8th. 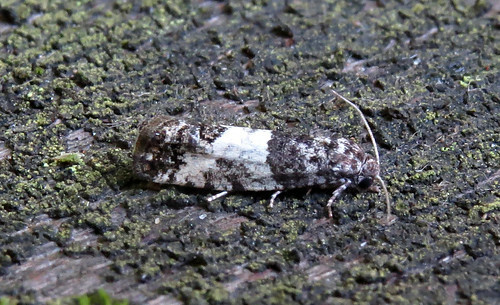 Beautiful Hook-tip Laspeyria flexula, Catoptria falsella and Ancylis achatana are other species regularly trapped in varying number each July – the former species something of scarcity back in 1997 when one in the Tophill trap was the first Yorkshire record for over 120 years. 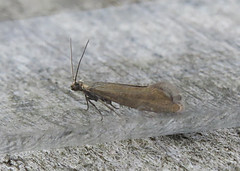 The reed-bed specialist Limnaecia phragmitella is regular, but rarely abundant, in the traps with statistics showing only 67 were trapped over the nineteen-year period 1996 (when first recorded) and 2015. 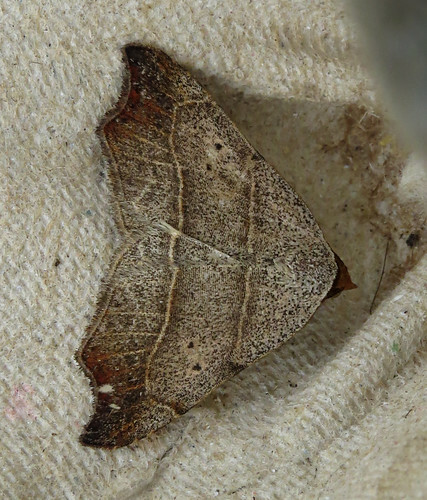 A total of 24 taken at light between the 4th and 13th represented a good year for the species – and 53 trapped overnight on the 15th was something of a huge surprise. 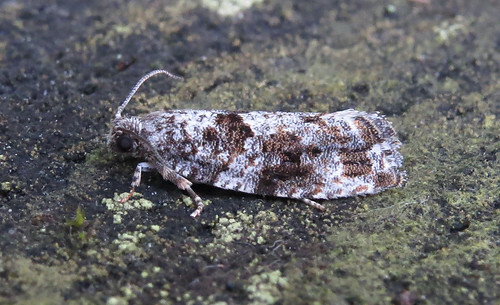 Having been first recorded on site back in 1992 when recording proper began, the stunning Purple Thorn Selenia tetralunaria had been recorded on 99 occasions up until July 8th – this larvae on the 9th the 100th Tophill record. 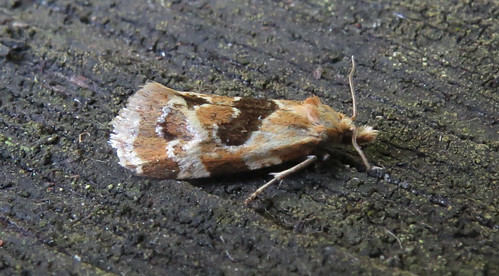 Aethes rubigana has had a splendid summer with seven records so far this year making 14 in total since it first appeared in 2014. However, those seven individuals of 2016 ensure it doesn’t feature in the fantastic roll-call of Tophill rarities over the early-July period! 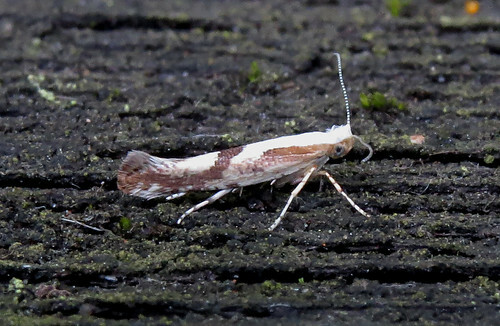 The 11th Ypsolopha sequella, first recorded on site in 2011, was taken at light on the 10th. 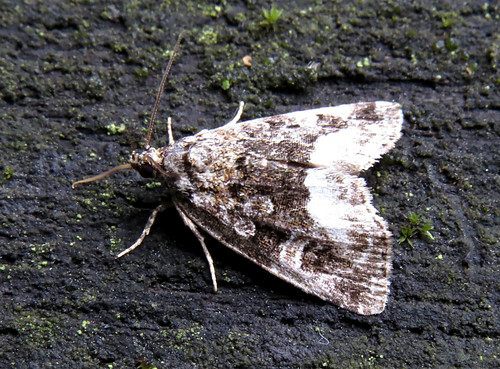 Marbled White Spot Deltote pygarga was recorded for the seventh occasion on the 9th, and Tophill’s seventh Shark Cucullia umbratica was trapped on the 7th – only the second individual since 2011 – with all other records occurring prior to the year 2000. 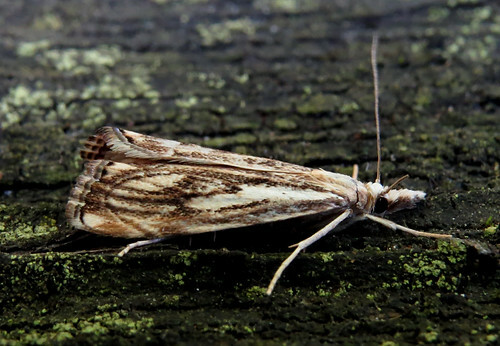 Single Cherry Fruit Moth Argyresthia pruniella were trapped on the 11th and 15th – the sixth and seventh site records, and two Crambus perlella, singles on the 6th and 7th were also the sixth and seventh records. 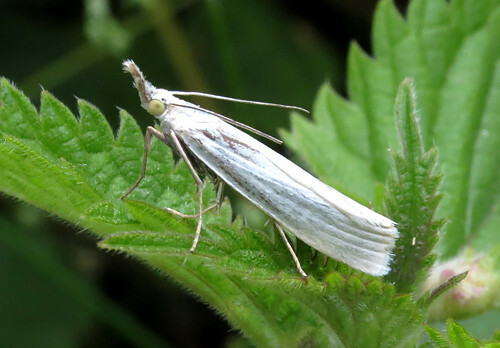 Single Gypsonoma sociana were noted on 10th and 15th – these the fifth and sixth Tophill records since first trapped in 2011. 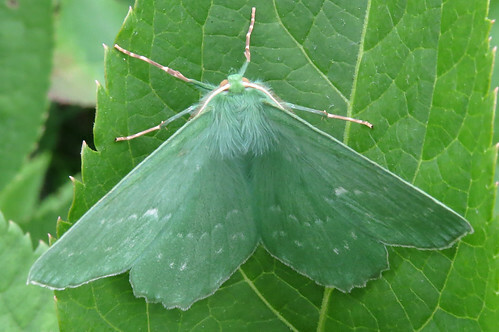 Large Emerald Geometra papilionaria was recorded for the fourth time since 2006 on the 15th, and the site’s fourth Scarce Footman Eilema complana on the 9th followed on from last year’s first three individuals. 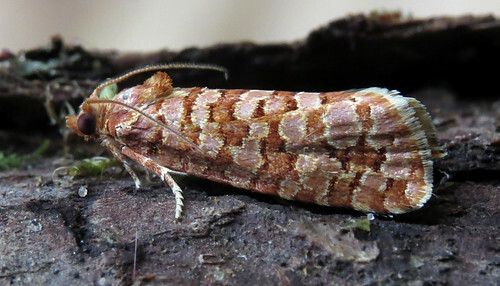 Phycitodes binaevella was also a new species in 2015 and the records have continued this summer. 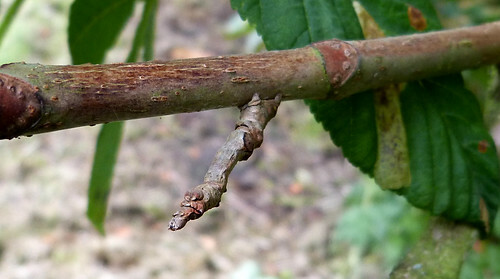 The fourth site record occurred on the 6th and three were trapped overnight on the 11th. 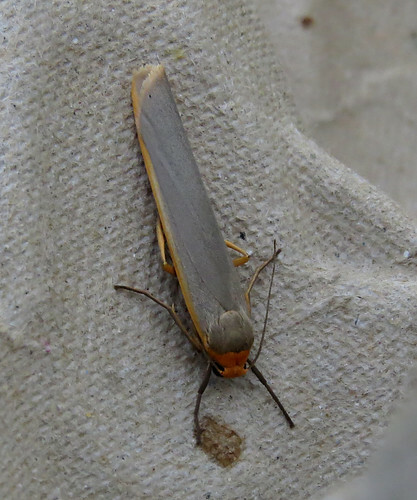 Single Lozotaeniodes formosana were trapped in 2014 and 2015 and this streak of records continued with one trapped on the 9th. 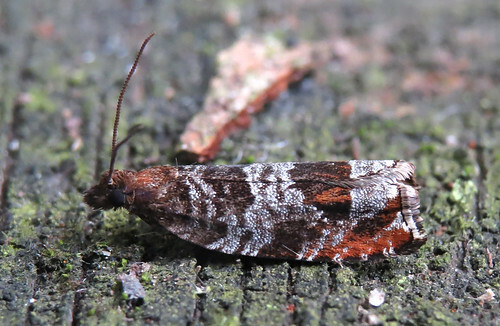 Gypsonoma oppressana is classed as Nationally Scarce B with the only two Tophill records both coming in 2013 – so a single on the 6th was a welcome record. 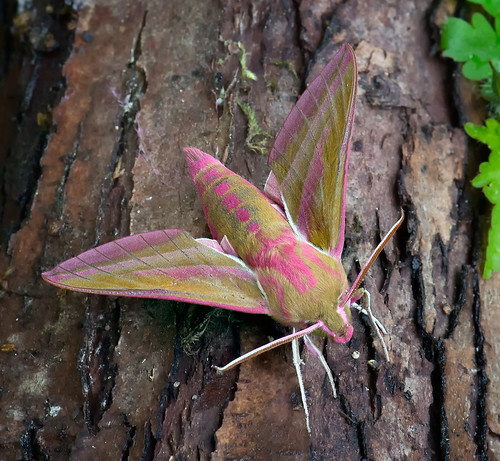 Four further individuals were then trapped between the 7th and 15th, suggesting the species is perhaps present in small number on site, but only comes to light sporadically. 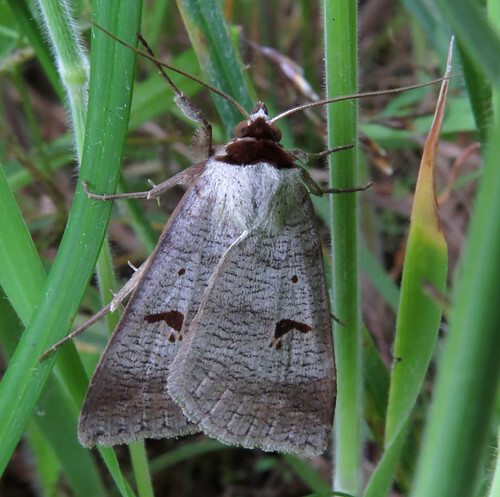 The stunning Lilac Beauty Apeira syringaria first appeared in the traps in 2015 and the period saw the second and third individuals recorded on the 5th and 15th. 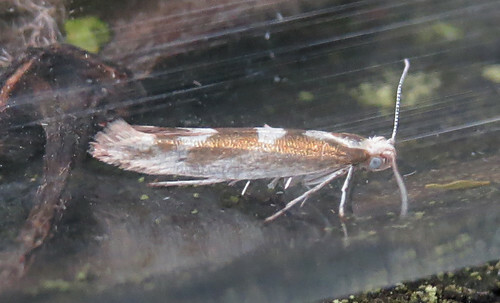 A single Argyresthia pygmaeella was a new species for Tophill on the 4th with further singles trapped on the 6th and 15th. 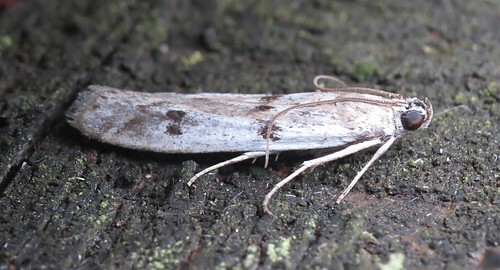 The Yorkshire Moths website currently indicates it is scarce in VC61 – though it is probably numerous in locations where it occurs. 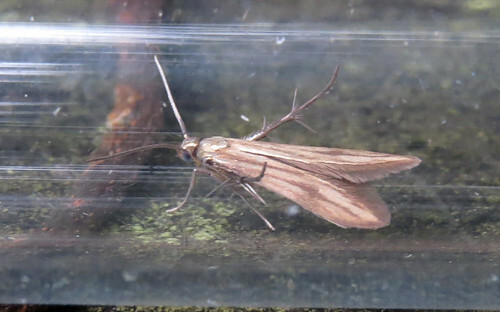 Moth of the period, and new for VC61 was Schreckensteinia festaliella found in the field on the 9th. 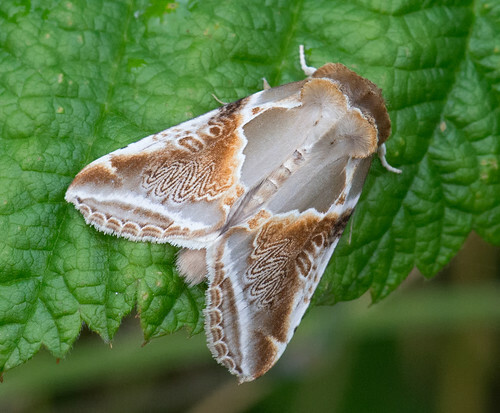 A regional scarcity – the Yorkshire Moths website currently lists only 15 adult records in the county since 1859. 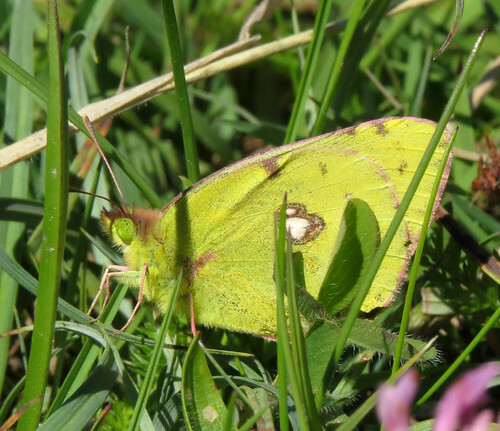 Away from the moth recording, further Lepidoptera interest involved a very confiding Clouded Yellow Colias croceus around the southern side of O Reservoir on the 16th. However, the gusty wind meant it was often elusive at times as it sought shelter in the grass. 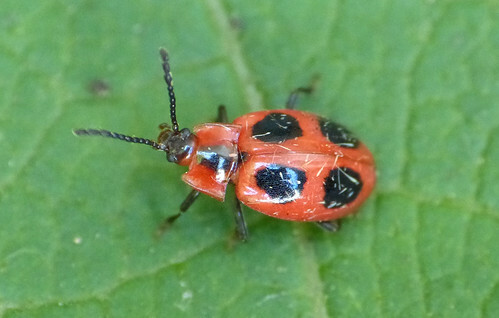 Finally, a False Ladybird Endomychus coccineus photographed by Doug Fairweather on the 16th, is potentially a new species for the site.